Silhouette Rimless 5452 Titan Accent Eyeglasses are about freedom, innovation and vision without boundaries. 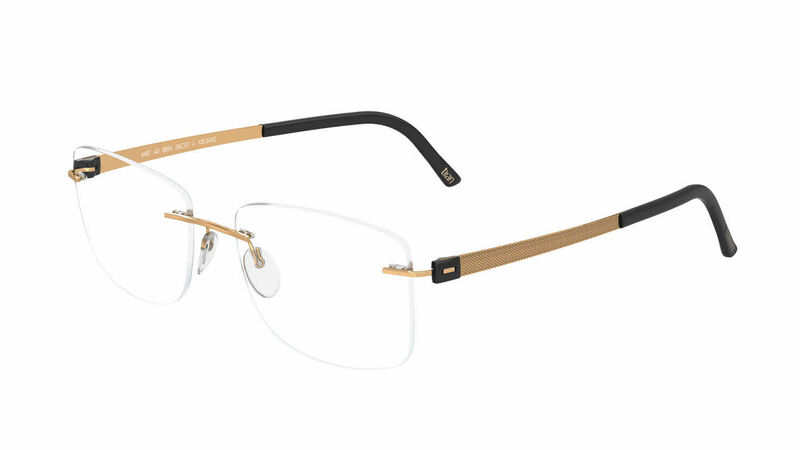 Several shipping options are available with your online purchase of Silhouette Rimless 5452 Titan Accent Eyeglasses at FramesDirect.com. Silhouette Rimless 5452 Titan Accent Eyeglasses are for prestige-oriented people who want to express their high lifestyle standards in their outlook as well. Silhouette Rimless 5452 Titan Accent is a Rimless frame for Men and Women, which is made of Titanium. Silhouette Rimless 5452 Titan Accent Eyeglasses come with a cleaning cloth and protective carrying case. I am very pleased with my eyeglasses. My husband also purchased a pair. The quality of the lenses is great. The glare proof works perfect. I can see the difference between the ones we purchased locally and the lenses from FramesDirect. I ordered a second pair which were not comfortable and FramesDirect worked with me to get a pair I was satisfied with.